CAMELOT PARK may be displayed on older buses. Service operates on school days only. Departs from Elizabeth St near Bathurst St. 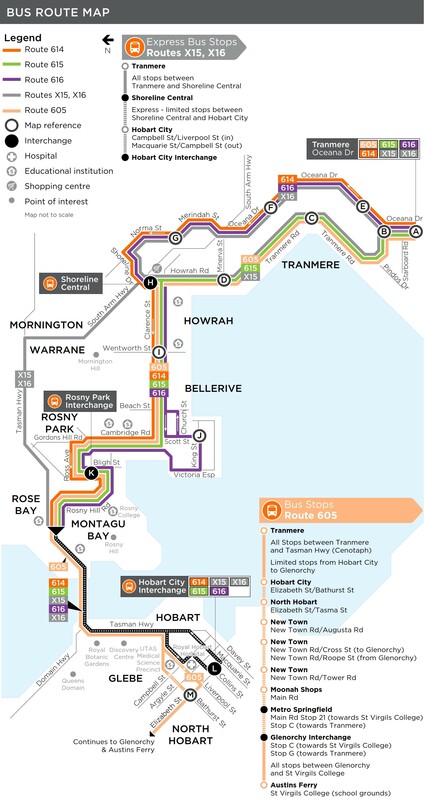 Bus travels via Bathurst St to Tasman Hwy.